Ruth is a wonderful listener and a knowledgeable nutritionist. She is helping me deal with a variety of gastrointestinal issues (acid reflux, constipation). 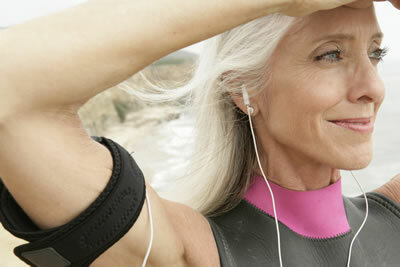 I find my energy has improved through the food, supplements, and vitamins she has recommended. She is a great resource and a delight to work with. I am a happy man! I made a decision to see Ruth because of my Type 2 Diabetes. I have lost 17 pounds in about 3 months and I feel terrific. The best part of my new lifestyle is that I don’t feel hungry or deprived so this is a program I can stick with. I have even kicked my sugar habit! Ruth made the program simple and easy to follow. I now feel like I have a new lease on life. Ruth guided me through a 14-day nutritional cleanse. She made the process very easy and was readily available via phone and email for questions. Not only did I lose some weight in the process, my skin did feel wonderful within the first 4 days of starting the cleanse, I feel as if I learned a great deal about my digestive system. It has truly helped me regulate what I eat and how I eat, and has significantly reduced my anxiety over my few extra pounds. I really love the program. For the first time when I wake up in the morning, I feel rested and refreshed – I can’t ever remember feeling that way and I look forward to the day. I am already down 6 pounds. I’ve learned that I can have sustained energy throughout the day without coffee or tea. WOW! Enjoying the selection of all the fresh fruits and veggies plentiful for meal planning. I’ve been seeing a difference more so in inches and have noticed that my midriff is trimmer. I feel great! Feeling better, more energy, less ‘napsy’ in the afternoon, and the joints are feeling great! The plan is simple, easy to follow, and travels well with a little planning. Plus, I’ve already dropped 6 pounds. A diagnosis of diabetes at seventy-seven got my attention. The “I must think about losing weight sometime,” became NOW. While I ate a healthy diet and was fairly knowledgeable about nutrition, Ruth was a great ‘kick-starter,’ explaining about portions, when I might snack, and general wisdom for weight loss. Some six months later, 25 pounds lighter, and NO Diabetes! Thanks bunches. Working with Ruth has made a major difference for me. I started with a cleanse which right away increased my energy and stamina, got rid of joint pain, resolved my digestive issues, and took my brain fog away. As an intuitive artist the improved mental clarity and focus is really important to me. I have continued on a customized plan which has helped me to lose weight healthfully and gives my an incredible sense of well-being.